Our thanks to saxophonist Sam Braysher who discusses Charlie Parker's recordings of Cherokee. 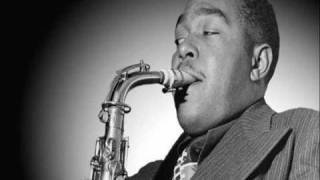 I’ve been learning the Charlie Parker solo from Cherokee recently (Click here for Sam Braysher's transcription). It was recorded in 1943, towards the start of Bird’s career and, although his style is plainly not yet fully formed, it is one of my favourite examples of his playing. The early years of bebop are not especially well documented due to the American Federation of Musicians’ recording ban between 1942 and ’43, and so this bootleg feels like a particularly important glimpse at both the development of that nascent movement, and the early growth of Parker himself. Accompanied by Efferge Ware on guitar (although it has also been suggested that the guitarist could be Leonard ‘Lucky’ Enois) and Little Phil Phillips on drums, Bird flies through the changes of Ray Noble’s notoriously challenging Cherokee. There is little in the way of improvised interaction here: Phillips is barely audible, while Ware chugs away relentlessly in four, and can be heard playing slightly simpler changes than Bird at some of the ends of the A sections, such as in bars 77-80. However, Parker doesn’t need any help in constructing a solo that is virtually perfect in its melodicism – the lines in bars 87-90 and 129-135 – to give just two particularly lovely examples - and apart from a brief reference to Noble’s theme in the opening 16 bars, the entire recording comprises him blowing, with neither of the other two musicians taking a solo. The alto saxophonist’s beat is incredibly strong, even at the age of 22 or 23, and playing along with the recording, for me, only makes this more apparent. The whole thing is imbued with an incredibly joyful sense of swing, which perhaps stems from his years playing nightly gigs for dancers in the raucous, mob-controlled Kansas City of the 1930s from his mid-teens. It seems to me that if we compare this recording with, say, Ko-Ko, another look at the Cherokee sequence from only two years later in 1945, the earlier solo outlines the chord changes more religiously while lacking this ‘discontinuity’ that Ko-Ko seems to exemplify (if I’ve correctly understood Iverson’s use of the word). Perhaps that is why the 1945 recording is considered by many to be the first true example of recorded bebop. Of course, this mystical ingredient of bebop is something that is almost impossible to put into words: the 1943 Cherokee sounds different somehow to Parker’s later works, but is still instantly identifiable as Bird: intricate, chromatic lines abound and there are some phrases that crop up in both, such as the line he plays in the bridge of the second chorus of both solos (bar 97 of Cherokee). Another interesting comparison is with this 1942 recording of the same tune. We hear lots of the same material from the 1943 version (although he is certainly improvising with that material), and the first part of the bridge of the third chorus (bar 161) also appears almost note for note in the earlier version. By all accounts he was practising this tune obsessively during this period (it was certainly considered difficult at the time, largely due to its fast tempo and the number of less familiar keys it cycles through in the bridge, and apparently many musicians steered clear of it entirely), and this particular line seems almost like an impressive ‘set piece’ that had been been worked out and practised in advance. This fascinating 1940 recording of Oh Lady Be Good features an even younger Bird: the ‘discontinuity’ and the language that he built in later years is even less in evidence, while the influence of Lester Young is more plain to hear. Of course, it is well known that Parker learnt the classic 1936 Pres solo on this tune, Gershwin’s Oh Lady Be Good! Along with Cherokee and I Found a New Baby, there are two other tracks from the 1943 session – Body and Soul and My Heart Tells Me, and it goes without saying that both are very much worth hearing. Incidentally, I’ve also just finished reading Stanley Crouch’s excellent Kansas City Lightning: The Rise and Times of Charlie Parker, which looks at Bird’s early years up until a few years before this recording was made. Featuring interviews with people who knew Parker as a young man, including many which Crouch began conducting in the early ‘80s, the book sheds some real light on the roots of one of jazz’s most mercurial soloists.